It’s been a hectic week for music (sales) as I’m still digesting over NME’s top 500 albums of all time, the death of Lou Reed, and the Mercury music prize. Let’s gloss over those quickly before getting onto something far more interesting. Ok, so NME had a fun list some cool things on it, but the smiths “the queen is dead” at number one is, of course, wrong, I’d put it in top 20 maybe even top 10 but no, 1? Maybe it just reminds me of bad times skipping school at 16 and following the train tracks looking for adventure I never found with a copy of the Morrissey and Marr biography I carried around with me along with “The Catcher in the Rye.” Umm, moving on…Lou Reed whose life has been written about elegantly and passionately by people like the Guardian and the Independent (and celebrated on Absolute Radio) there’s little else to say except it’s sad, but not really a surprise considering the amount of abuse his body took. Somehow crazy Iggy Pop and David Bowie are still alive (and releasing cool records too). Finally Mercury Music prize. It’s a big thing here, mostly because it allows record shops like HMV and the immoral Amazon to sell a load of cd’s and downloads. For some strange reason James Blake won. I have no idea why. So now I can finally get onto Mark. Who? 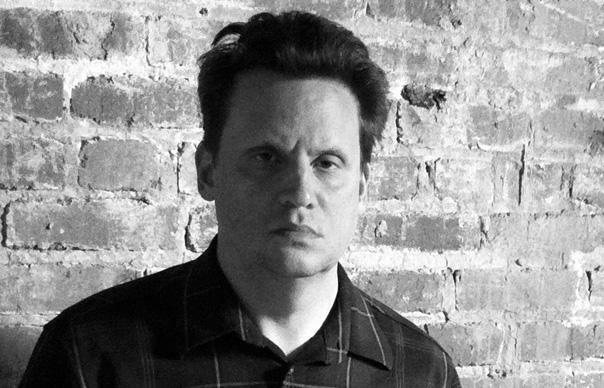 Mark Kozelek who is only the greatest musician of our time! So he didn’t feature in NME’s list, but somehow that’s a good thing too. I saw him earlier this week play in a lovely old church in Brighton, which was an odd setting for someone who is kind of vulgar, but I don’t want to go there I want to talk about his music. I’ve said for a while now I could throw away all my record collection and never listen to the radio again as long as I could keep my Mark Kozelek records. There’s something so haunting, so lonely and sad about those songs that if I’m a bit vulnerable and it’s late at night and I’m on my own I’m likely to get carried away and find tears rolling down my cheeks. It’s an astonishing mix of heartfelt beatnik soothing poetry and a lullaby gentle guitar sound that can take you breath away, make you stop whatever you’re doing and close your eyes and indulge in the sad world of Mark Kozelek. He’s 46, as he reminded us the other night, but he’s still hung up on girls, he’s still looking for meaning, and he’s broken. Tuesday night proved that more than anything else, he’s a broken and lost spirit. He’s suffering from attachment issues, but that makes him even more special, even more brilliant, and certainly makes his music all the better. I guess I’m saying unlike James Blake, unlike Morrissey, even unlike Lou Reed, he’s a poet. There’s not many of those around now. Live he’s brilliant too. Everybody always gets upset and disappointed when they see he isn’t the sensitive Nick Drake type though. Here’s what the BBC wrote a couple of years ago about a concert “The manner in which he (Mark Kozelek) goes about it is extremely disappointing… it only serves to emphasise the gulf between a stunning songwriting talent and an apparently indifferent personality.” That kind of stuff is always said and it always gets on my nerves. Where does it say to write romantic songs you’ve got to be a super soft cry baby too fragile for the world? Anyway, im super tired so….You can take any song and it would be brilliant. But here’s an old one…It’s a good place to start as any for those of you who’ve yet to discover his genius.